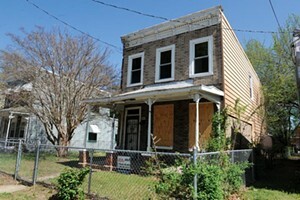 From the listing: OPPORTUNITY FOR ANY INVESTOR! PRICED TO SELL! Historic Church Hill Colonial waiting for you to bring out the charm! Three bedrooms, full bath with claw tub, decorative original fireplaces and original floors. Kitchen is gutted and ready for your vision. Want to buy it? Contact Keller Willams Realty at 804-282-5901.